Documentary following the passengers, crew and ship's chaplain on a world cruise. There is a medical emergency when the ship is in the middle of the Atlantic. In January 2013, the Cruise Liner Balmoral set sail on a 112-day world cruise. She is embarking on a 33,000 mile voyage, stopping at 33 ports of call on her trip around the globe. On board are 1,700 passengers and crew and their chaplain for the journey, the Reverend Colin Still. After a brief stop in Madeira, Captain Victor Stoica soon has a medical emergency on his hands as a sick passenger has to be airlifted off the ship in the middle of the Atlantic. On board, Colin and the passengers settle into a routine. Sue Alderson, the energetic choir mistress, is soon drilling her passenger volunteers for a performance of The Pirates of Penzance at the end of the leg in Acapulco. 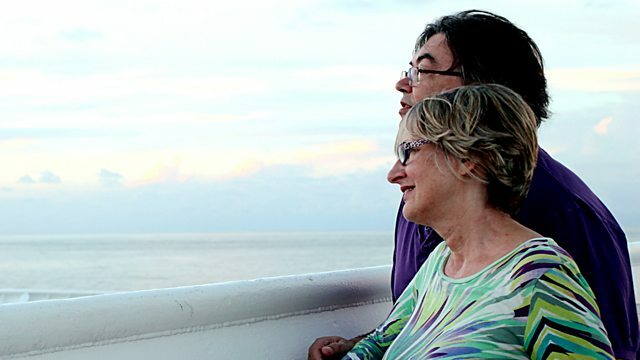 Bob and Vivien Spedding met and fell in love on a previous cruise, but are on a honeymoon with a difference this time.